Linganor High School's Don Johnson dives back just in time to avoid being picked off by Westminster's Joe McEvoy. 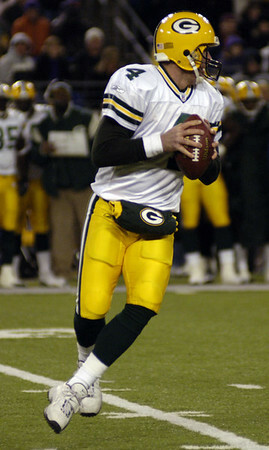 Future Hall of Fame QB Brett Favre drops back int the pocket on Monday night looking for anyone that can catch his hot pass. 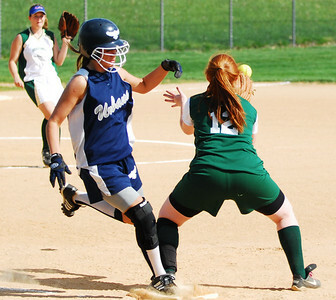 Urbana batter Jill McCormick beats the throw to Century High Schools first basewoman Julie Smith. 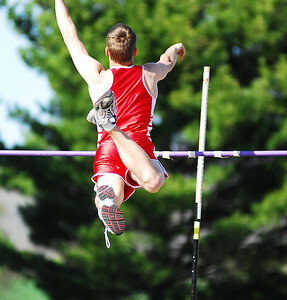 Thomas Johnson High School's Joe Thomas clears the 8 foot 6 inch mark by a mile to advance to the 2nd place position. 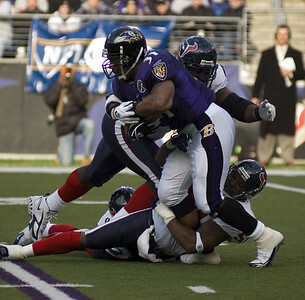 Baltimore Ravens running back Jamal Lewis attempts to break tackles to gain 5 yards against Houston Texans. 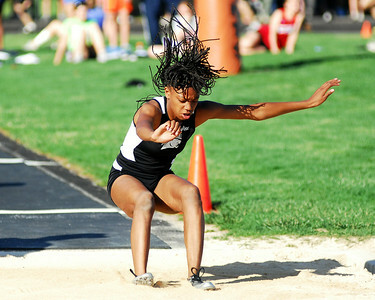 Liberty's Janiqua Johnson jumps for her personal best and the third place leap at the Don Boyer Invitational. 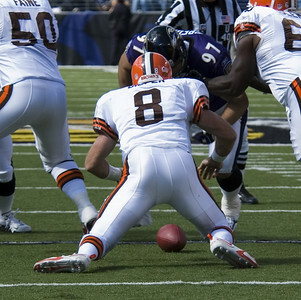 Cleveland Browns quarterback and ex-Baltimore Raven Trent Dilfer drops the ball on the snap but recovers for a loss of 5 yards. Linganore girl's softball team pitcher Julie Jones winds up and delivers a 47 mph fastball to a Westminster batter. 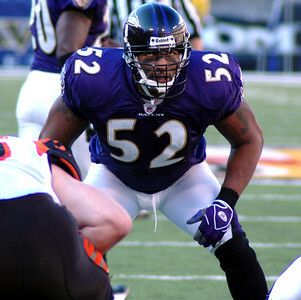 Baltimore Raven linebacker Ray Lewis shos his intensity as he awaits the snap from Bengals QB Jon Kitna. Shortstop Jane Williams throws the ball to first for the third and last out of the 5th inning. 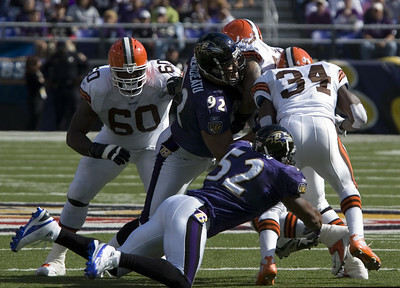 Baltimore linebackers Ray Lewis and Maake Kemoeato try to bring down Cleveland running back Reuben Droughns.